The Pacific Decaf Fair Trade & Organic was blended and roasted for you by Tony's Coffee. 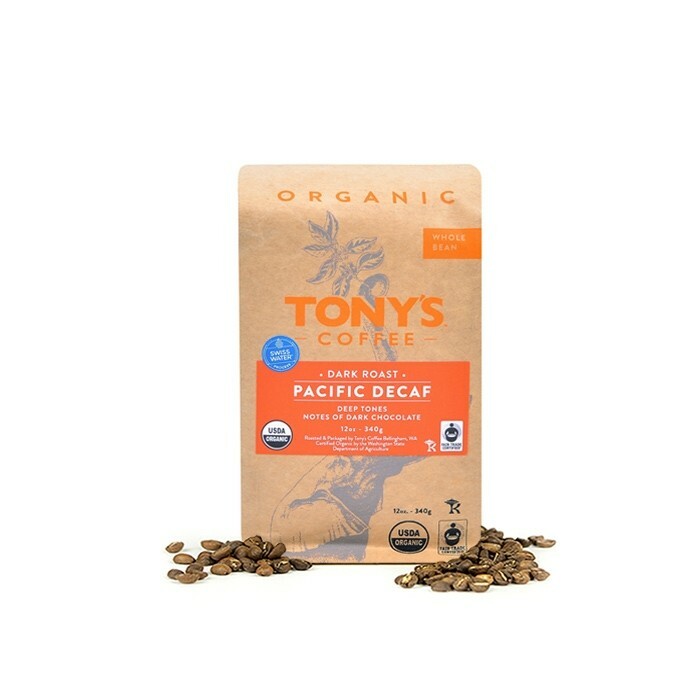 This decaf coffee is a blend of Fair Trade and Organic certified coffees from Central and South America. All of the coffees in this blend were decaffeinated using the natural Swiss Water decaffeination process. The resulting coffee is a rich dark roasted cup with bittersweet notes of dark chocolate and butterscotch. Very good except for a slight burnt flavor. Very good. Easy to brew well. Finally a dark roast....I'm glad you listened! Not the best I've had, but I enjoyed it.